If you need to repair conservatory windows, or replace conservatory windows, then you will need to contact reputable conservatory window services. 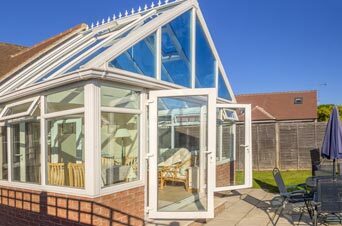 There are many such services in all areas of the country that specialise in all things to do with conservatories. Always look for a service that has many years of experience and a good track record. Check out their website and look for customer testimonials. Lots of glowing reports from past satisfied customers is a good indication that the company can be trusted. A reputable conservatory services company should have its own website at least. They will also usually be able to give you, or send you a brochure that sets out all the services they offer. They should also be able to give you a free quote on conservatory window fittings and conservatory window installation, as well as the cost to replace conservatory windows or repair conservatory windows. 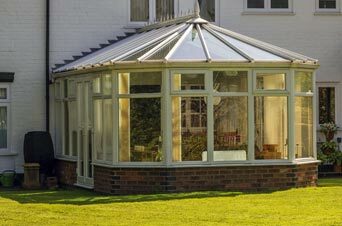 It is always best to make use of good and reputable conservatory window services, rather than trying to do it yourself. Many of us are keen DIY enthusiasts, but unless you have had the proper training and the necessary experience, and unless you have the right tools required for the job, it is best to leave it to the experts who know exactly what they are doing. If things go wrong when you try to install conservatory windows, or carry out your own conservatory window installation, repairs or replacement, then the expense and wasted time is yours and yours alone. If it all goes wrong when conservatory window services have been contracted to do the job, you will have the proper support and compensation you need, and it should not cost you anything extra, other than wasted time. 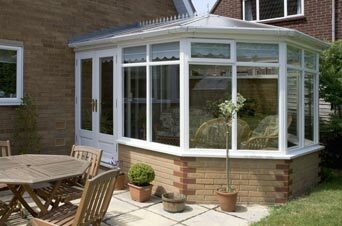 However, before contracting the services of a company dedicated to conservatory work, you should vet them properly. Your chosen conservatory window services specialist should be a member of the Double Glazing and Conservatory Ombudsman Scheme (DGCOS), or a member of the Federation of Master Builders (FMB). The DGCOS deals with matters pertaining to consumer protection, while the FMB is an independent trade organisation that promotes standards of excellence. Before becoming a member of either organisation, companies are carefully vetted for their good business standing. They are also vetted for a high skill standard, and they must follow a strict industry code of practice at all times. 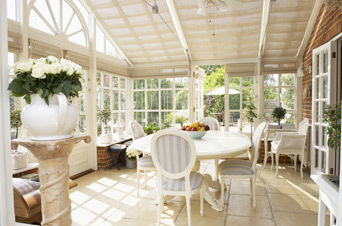 Choosing conservatory window services that are a member of either organisation will ensure good quality work. It is also unwise to take the first window service you find. Check out several of them in your area. Get quotes from them all. Go to their website and look for customer testimonials to see if past customers were satisfied with the work they had done. You should also check how long the company has been in business, the longer the better, usually, as it indicates they are in it for the long haul, and not likely to go bust as soon as they start work. If you live in the Birmingham area, Pinnacle Home Improvements are a good choice. They have many years of experience and hundreds of satisfied customers. Give them a call on 01527 522019!